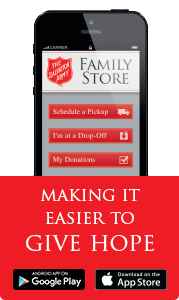 The Salvation Army is all about giving back to the community, and you can be a part of that and help others by DOING THE MOST GOOD. Our Family Stores are always in need of volunteers to help for a few hours a week. For a complete list of volunteer opportunities, please click here.